In November 2018, Russia captured three Ukrainian Navy vessels and imprisoned two dozen crew members in the Sea of Azov, which treaties safeguard for both countries. Yet international disapproval of the aggression against Ukraine—only the most recent in Russia’s five-year assault on the country—was tempered by the knee-jerk response of Ukrainian President Petro Poroshenko. Poroshenko called for the nationwide imposition of martial law the next day, which seemed to confirm the dire reputation of the country’s democracy. To many observers, Poroshenko’s request seemed less aimed at shoring up Ukraine’s military than exploiting its fragile institutions to ensure his own re-election in a vote scheduled for March 31. It was cited as the latest evidence for the common belief that Ukraine is really no better nor different than authoritarian Russia and thus not worth the democratic world’s concern. More instructive than Poroshenko’s proposal, however, was what happened next. The Ukrainian parliament refused to rubber stamp the martial law request, instead passing a much watered-down version designed to last only 30 days. The parliament also twisted Poroshenko’s arm, forcing him to publicly commit to holding the election on schedule. Ukraine’s reputation in the West largely remains that of a basket case—a country whose desire to integrate with the West, and specifically the European Union, far outpaces its reality. That reputation is wrong. Ukraine isn’t a failing state or a hopeless Potemkin democracy—it’s a country, though war-torn, firmly on the path of making good on the 2014 Maidan Revolution and, under reasonable conditions, succeeding as a European country in good standing. To be sure, Ukraine is beset by a variety of problems. State institutions remain hampered by inefficiency and corruption, much of the population remains preoccupied by nationalist fantasies of outright victory in the ongoing border war with Russia, and hardly anyone believes in Poroshenko’s democratic bona fides. And yet Ukraine’s steady progress and growing momentum toward democracy are irrefutable. In the five years since its revolution, Ukraine’s accomplishments rival those made by any of the Central Europeans in the same time span since 1990. They are even more impressive given the country’s partial occupation by the Russian military in Crimea. Among the most promising aspect of Ukraine’s reform efforts is the way they have been guided and shaped by the country’s tenacious civil society groups. Hundreds of activist groups, the true heirs of the Maidan revolution, have leveraged the political space afforded by the uprising. Their focus is on setting an example through direct action as much as it is pressuring politicians to pass legislation. It’s such civil society groups that are relentlessly caring for veterans, defending human rights, promoting women’s issues, pursuing war criminals, and supporting other causes that Western liberals are committed to supporting in their own countries. A significant part of post-Maidan civil society is also the independent media that have been instrumental in uncovering top-level corruption cases. 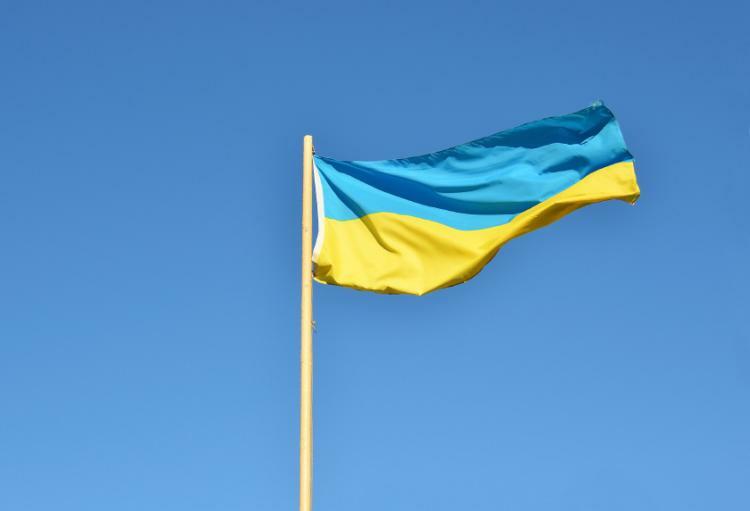 Despite the many odds stacked against it, Ukraine’s democracy has proven its resilience. Although Poroshenko would clearly prefer to rule with a firm hand with the oligarchy at his back, he has been consistently checked by parliament, as the martial law vote shows, and he is in no way certain to triumph again come March. The presidential contest, and the accompanying parliamentary elections, are wide open. The familiar faces of Poroshenko and the veteran politico Yulia Tymoshenko—and their parties—may lead by a hair in most polls, but there is fierce campaigning underway, and about 30 percent of Ukrainians say they haven’t made up their minds. Ukrainian ultranationalists are a potential threat to the democracy, but a modest one at present: The right-radical party Right Sector doesn’t even capture 1 percent in current polls. On the streets, they can still be an intimidating presence, but they influence Ukrainian politics much less forcefully than many of their ideological peers in Western Europe affect their own countries. Ukraine’s most committed activists don’t simply care about their country’s future—they also identify with the international institutions most involved with it. Ukrainians largely understand that their progress would have been impossible without the helping hand of the EU and the International Monetary Fund, which have stood by the country even when many of their member states have wavered. When I recently asked members of the Anti-Corruption Action Center, one of Ukraine’s leading nongovernmental organizations, who its most dependable political ally in Ukrainian politics was, the activist Vitaliy Shabunin responded, “the IMF.” That’s precisely because Ukraine’s international creditors have applied the necessary pressure to persuade the country to pass its hardest-hitting anti-corruption laws. Ukraine’s steady, but unfinished progress is reason enough for the EU to push it along its path toward deeper integration with the continent. The prospect of sealing the EU Association Agreement—the very pact that, when dumped by then-President Viktor Yanukovych in 2014, sparked the Euromaidan protests in the first place—will inspire further democratic reforms by promising deeper political and economic ties in exchange. Ukrainians are already benefiting from visa-free travel to EU member states, and trade between the EU and Ukraine increased by 24 percent in 2017. Yet, unconscionably, the EU holds out on offering the country prospective candidate status and wavers even in its diplomatic support for Ukraine. Surely, this is in part motivated by the fear of becoming entangled in Ukraine’s conflict with Russia. But it’s important for the West to remember that Russia’s depredations against Ukraine are a response to the Maidan revolution and a democratic Ukraine; for Europe to back away from Ukraine is to disown its own principles. In that sense, Europe is already involved in this conflict—and it can’t afford to lose if it hopes to check Putin’s expansionist fantasies in the future. In 2014 and 2015, Ukrainians rejected the authoritarian post-Soviet politics that endure in Russia, Belarus, and elsewhere, and even today in some EU member countries. As long as Ukrainians are courageous enough to insist on liberal values in the face of Russian aggression and domestic spoilers, the West should prove itself worthy and accept Ukraine as one of its own.